Connects most propane stoves to safety post or trailer tank "T". Akerue Industries manufactures rugged and dependable top quality grill gear. 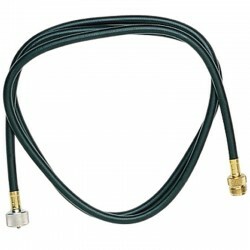 Works well for connecting Coleman propane stoves to a large propane tank.